NECCO Candies Are Coming Back. Or Are They? 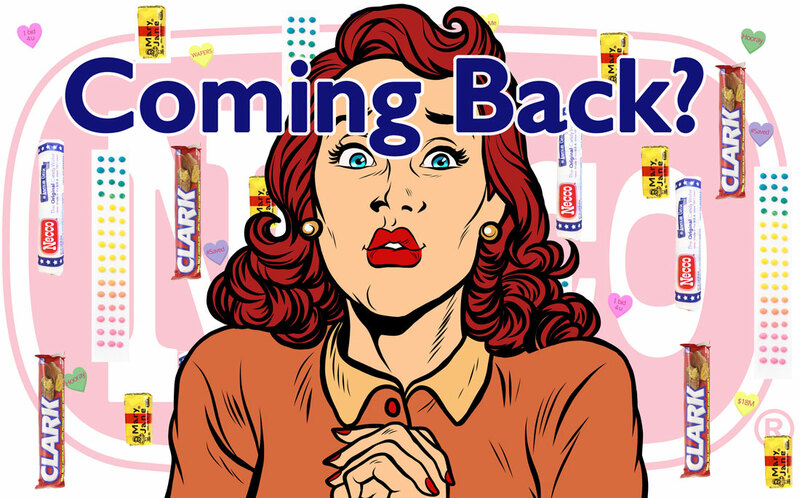 • Is Your Favorite Necco Candy Going to Return? It's been a year since the Great Necco Wafer Panic, and lovers of some Necco candy brands might be glad they panic-bought. Others are wondering if Necco's closure means they'll never see the candy they love again. Will Necco Wafers return? Clark Bars, Mary Janes, and Sky Bars? Here is what we know. It was a year ago this month that we first wrote about The Great Necco Wafer Panic, and what a year it has been. Despite the efforts of many, including CandyStore.com, to save Necco, the company went bankrupt in July. The factory was shuttered and broom swept, workers told not to show up. Its iconic candy brands were scattered in the wind. At this point, nothing can be done to restore Necco and give its long-serving factory workers their jobs back. The factory is closed, the equipment all cleared out and sold. But what about the candy? We have been getting thousands of emails since Necco closed its doors asking when and if Necco’s candies will return. Maybe because we played a small part in trying to save the company, Necco fans even asked if CandyStore.com now owns Necco or any of its brands. (We don’t). In the new year, the emails really ramped up with people missing SweetHearts conversation hearts this season. Since then, we’ve gotten no fewer than 2,000 emails and calls from Necco candy lovers. So, we tracked down the fate of all the Necco candy brands individually. Are they in limbo? Were any of them bought by competitors? Was the panic-buying of Necco Wafers, Clark Bars and Sky Bars validated? Can you give us hope?! The answer to most of those questions is likely yes. Here is a breakdown of where the Necco candy family has gone since the split. Is there hope, or are they in limbo? Hope. Is someone making them again? Yes, Spangler. Not available yet though. Was panic-buying validated? Probably not, but maybe. Will it still be branded “Necco”? Likely, but uncertain. 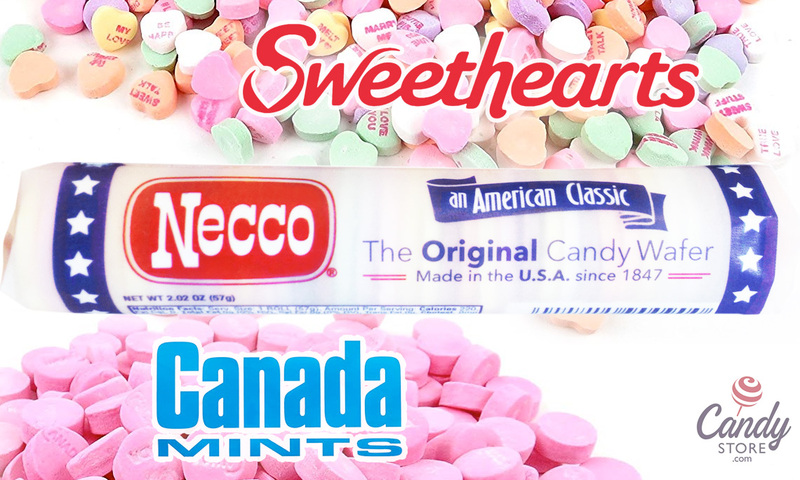 After some back and forth, Spangler Candy Co. of Bryan, OH ultimately purchased Necco Wafers, SweetHearts conversation hearts and Canada Mints. Founded in 1906, Spangler is the maker of Dum Dums and Saf-T-Pops suckers, circus peanuts candy and some candy canes. At the time of their Necco brands purchase, Spangler also acquired a 20-acre campus near their current setup in Bryan, OH. This property was previously owned by New Era Ohio who made pumps and machinery. So it would need significant time before it’s ready for food production. We were not able to get confirmation as to whether that renovation work stands in the way of getting the new Necco products up and running. If it does, then expectations should be set conservatively. Spangler has been tight lipped with progress updates. They stated earlier that SweetHearts should return for 2020, presumably before Valentine’s Day. In a now-deleted press release, Spangler initially estimated Necco Wafers would be ready sometime in 2019. That was removed from their website a month ago during the SweetHearts panic, and no update has been provided. So was the panic-buying validated? We think it’s very unlikely that these three brands will not come back to the market. Spangler wanted them enough to pay $17.3 million and will want to reap the rewards of owning these iconic candy brands. But if you have a steady craving for Necco Wafers, they are currently not being produced, so your stash might be the best source. In the medium- to long-term, these candies will return. But until that day comes, those who hoarded Necco Wafers might find their choice to do so validated quite nicely. Did I just buy a ridiculous amount of Necco wafers after hearing that the plant has closed? It is not clear whether Spangler will hold on to the “Necco” branding on its new products. It seems likely, however, that Necco Wafers will remain “Necco” Wafers since the brand is so ingrained in the product ethos. With SweetHearts it’s not as certain – Canada Mints even less likely. We will have to wait for more info from Spangler to find out. Is someone making them again? No. Will it still be branded “Necco”? ??? Mary Janes, sadly are in limbo. 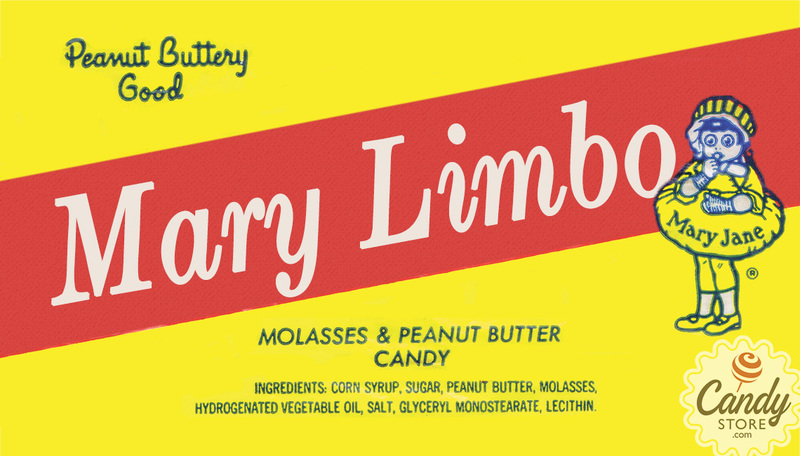 The brand and intellectual property surrounding the candy are currently for sale. There is no word on whether it’s in negotiations with any potential buyers. When CandyStore.com reached out for comment, representatives asked if we’d like to make an offer to buy Mary Janes. We respectfully declined. The fact that they asked could signal that it’s status is more firmly in limbo, not in some finalizing stage of negotiations. Inventories have run out and it has become very hard to find. Panic buyers of Mary Janes are really glad they did. Their secret stash is the best place to find them. Hope or limbo? Tangled web of Limbo. Was panic-buying validated? They might be now. There is inventory still remaining! Squirrel Nut Zippers are in a tangled web of limbo. There is a conflict over who owns the trademark due to complex co-packing agreements from the past that are unresolved. It is not for sale and no one other than Necco – now disbanded – is permitted to produce them. 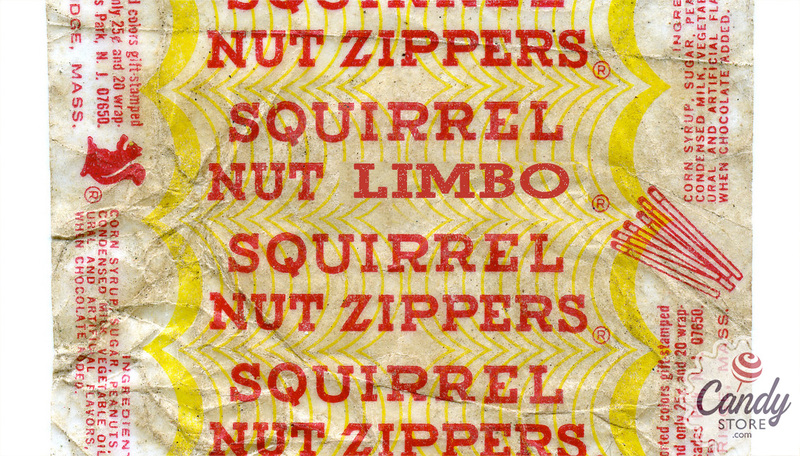 Like many other Necco products, Squirrel Nut Zippers have not been produced since last spring. However, inventories have not run out completely yet. CandyStore.com still has Squirrel Nut Zippers tubs available for now. The time for panic-buying Squirrel Nut Zippers is nigh! Is someone making them again? Yes, Boyer. Not available yet though. Will it still be branded “Necco”? No. Boyer Candy Company of Altoona, PA purchased Clark Bars. Founded in 1936, Boyer is the maker of Mallo Cups, Smoothie Cups and Peanut Butter Cups. As of now, Clark Bars are not available. Like Spangler, Boyer is working on getting the recipe right and currently working the kinks out of the production line. This is great news for Clark Bars lovers. Boyer is actively working on getting them through the production stage, which means it won’t be long before they return. With Boyer’s expertise in candy cups, this makes sense. It’s also a great way to get the brand back out there as soon as possible. Speaking of brands, it’s not likely that Clark Bars will retain the Necco name. 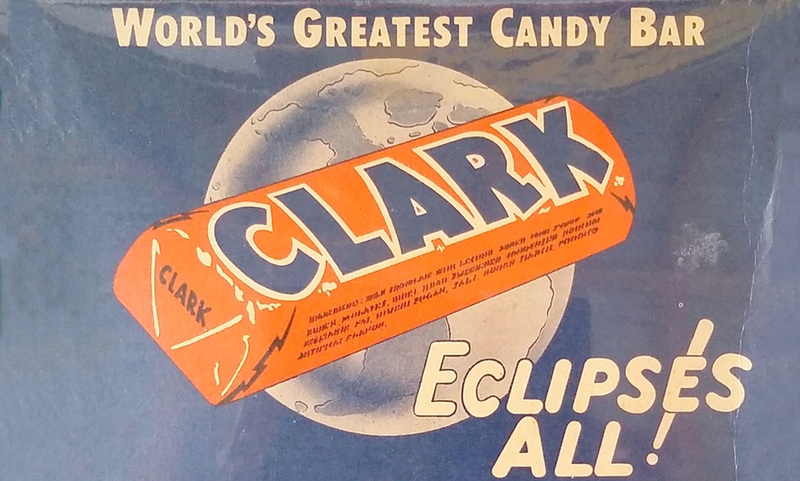 Clark Bars history isn’t tied to Necco. In fact, it’s just returned home. Clark Bars are originally from Pittsburgh, and their return to PA was noted as one of the reasons Boyer worked hard to get them back. “Bringing the Clark Bar back home to western Pennsylvania was a once in a lifetime opportunity,” said CEO Anthony Forgione. Is someone making them again? Yes, Doscher’s. Not available yet though. Will it still be branded “Necco”? For a short time. Doscher’s Candy Company of Cincinnati, OH purchased Candy Buttons. Doscher’s is known for French Chew Taffy and candy canes. We spoke with Doscher’s owner Jon Nielsen. You can read the full piece here. Candy Buttons are currently available! Well, that didn’t take long. 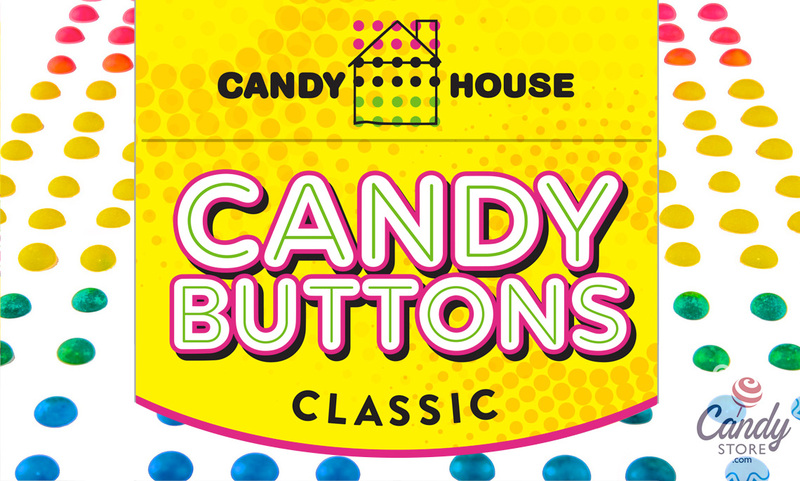 Anyone who panic-bought candy buttons probably does not feel validated in doing so. There was some down time, but not much. Currently the Candy Buttons packaging does retain the Necco brand logo, but there are plans to remove it in the near future. Founded in 1871, Doscher’s now has claim over the title of oldest continually operating candy company in America. That title was previously held by Necco, which had been founded in 1847. Here is a timeline of the History of Necco as a company. Is someone making them again? Yes, Louise Mawhinney. Not available yet. Was panic-buying validated? Maybe, short-term. Louise Mawhinney of Duck Soup in Sudbury, MA purchased Sky Bars in an online auction on September 27, 2018. Founded in 1971, Duck Soup is a specialty foods and housewares store. Duck Soup is a local kitchen hardware and cooking supply store. While they do sell some candy, they have never actually produced any. This is not exactly the kind of business you would think would be up for taking on the production of a candy bar with a nationwide following. Can Sky Bars Fly In Duck Soup? The owner of Duck Soup, Louise Mawhinney, was just as surprised as anyone to be the new owner of Sky Bars. But she has a plan. She is working on getting new equipment and setting up her production. She hopes to have Sky Bars ready by the end of 2019. You can read all about it and the fascinating story of how she came to own Sky Bars here. If you panic-bought Sky Bars you might not be sure how to feel. Their new owner has never made candy at scale before, but hopes to have them ready for the end of 2019. A skeptical hoarder might take comfort in his stash while this story plays out. We spoke with Louise and have faith. 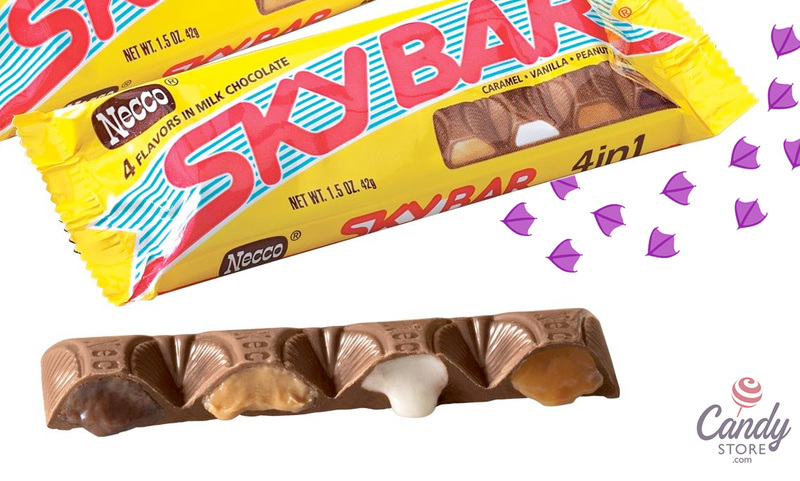 We look forward to selling Sky Bars on CandyStore.com again soon. Is someone making them again? Yes. Log House Food. Not available yet. 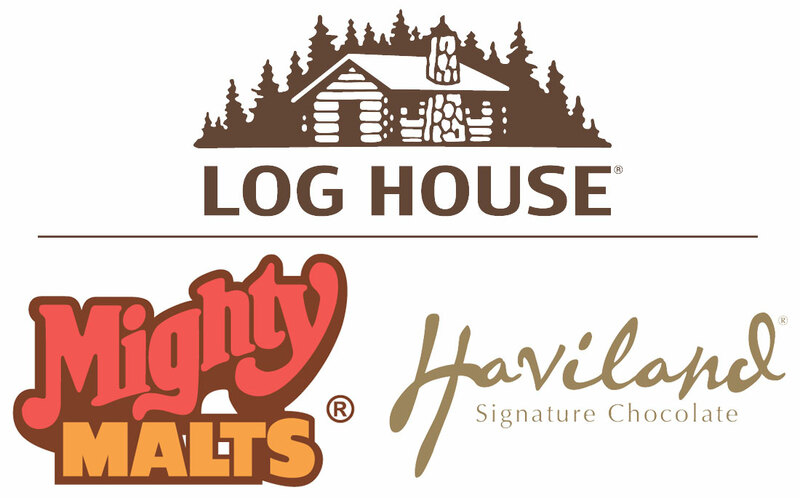 Log House Foods of Plymouth, Minnesota purchased Necco brands Haviland Thin Mints and Mighty Malts malted milk balls. Founded in the 1940s, Log House is known for making baking chips, confectionery coatings and WholeMe granola clusters. As of now, neither Mighty Malts nor Haviland Thin Mints are available. Log House aims to have them back later this year. He also explained some of the plans for bringing in the Necco brands. Mighty Malts are a narrower line of products, but unique nonetheless. Log House aims to maintain that uniqueness by matching the flavor and texture from Necco as closely as possible. A new production facility will not be necessary to produce the Necco brands. Phillips explained that they have existing space they’ll utilize to make the new product lines. But new equipment will be needed. That’s good news for lovers of Haviland and Mighty Malts. From the sounds of it, it seems like the only thing preventing these brands from being available is the arrival and setup of the new candy-making equipment. Getting the process right from that point will still take refinement and that does take time. But we see no reason to doubt Log House’s estimate of late 2019. As to whether they will use the Necco name on these products, Phillips indicated that Log House will not. This makes sense as these brands have identities that are more or less independent of the Necco brand name. Is someone making them again? Yes. Stichler Products, Inc. Not available yet. Will it still be branded “Necco”? Uncertain, seems unlikely. Stichler Products, Inc. purchased Slap Stix caramel pops and Banana Split, Strawberry Shortcake and Mint Julep candy chews. Stichler is known for novelty licensed candies like Mega-sized Dum Dum pops and Mega Buttons candy. 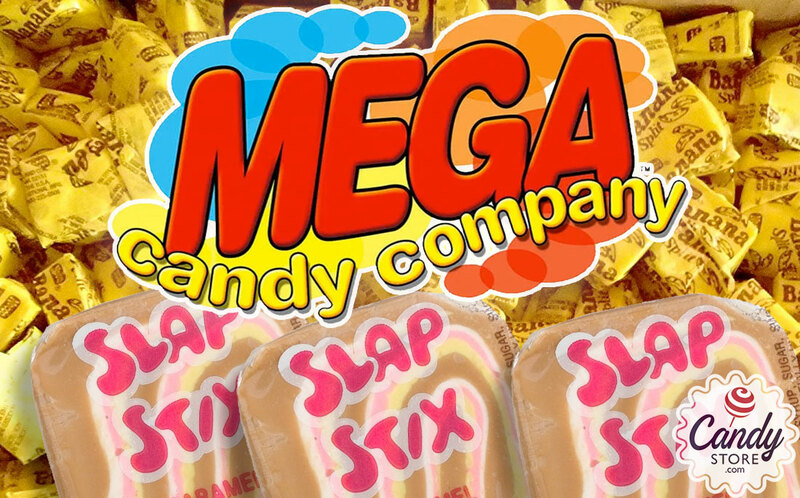 In fact, that is the name of the company their candy production currently runs under: Mega Candy Company. Slap Stix and the lineup of Chews are currently not available. Stichler is in the process of increasing its production significantly in a modernization project that includes constructing a special new production area. These types of projects take time. As to when we can expect them to be up and running, Stichler did not respond to our requests for comment. We can speculate that it will be no sooner than the end of 2019, going by what the other candy companies who acquired Necco brands have said. “It takes time to get it right,” has been a frequent and valid response. Slap Stix are a caramel lollipop that dates back to 1920 when they were called Snirkles. They combine caramel and vanilla nougat in a big swirl. Like many of Necco’s nostalgia-based candy brands, Snirkles evolved and changed hands over time to become Slap Stix by the time they were acquired by Necco in 1990. No word on whether Stichler will keep the Necco name attached. It might have more resonance with the Chews candy brand, as Slap Sticks packaging never really featured the Necco logo as prominently. Most of the candies above are not currently in production. Candy has been known to have a pretty good shelf life, seeing as its main ingredient – sugar – is something of a preservative. If you have concerns about storing candy for the long haul or eating candy that’s not exactly fresh, I refer you, again, to this article on candy expiration dates.